Billions of dollars are spent on herbal supplements every year by people in the US. We buy our capsules with powders inside, dried roots, leaves, or flowers for teas, and powders to take as supplementary medicines or as health agents. At the time the plant is in the tea bag, dried or a powder, it is no longer easy to identify it. But you can use its DNA to check its DNA barcode against a database of known, correct DNA barcodes for common medicinal plants. 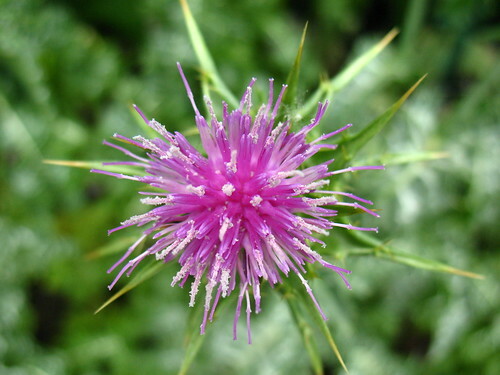 Milk thistle, Silybum sp. (cc) Vilseskogen on Flickr. That is what a group of Canadian scientists led by Steven Newmaster did (see research article). A recent article in New York Times (Nov 5, 2013) describes how they bought a large sample of herbal supplements, and then sequenced the DNA inside each product to see if the label matched the content. They also sequenced the real medicinal plants to build up a database of correct DNA barcodes to use as a reference database. This is all high-tech but also standard scientific practice work these days. In about 60% of cases, the plants did not match the label. This is remarkable. Imagine if the same kind of product fraud existed in the spice rack, at the meat counter, at the pharmacy, or when you buy garden bulbs. "Sorry, your narcissus was a daylily!" "No wonder that beef tasted strange, it was frozen elephant meat." "Aspirin, cornstarch, or tylenol, no problem!" Why do we accept this for herbal products and from these health companies? Is your herbal product from the right species? Probably not. 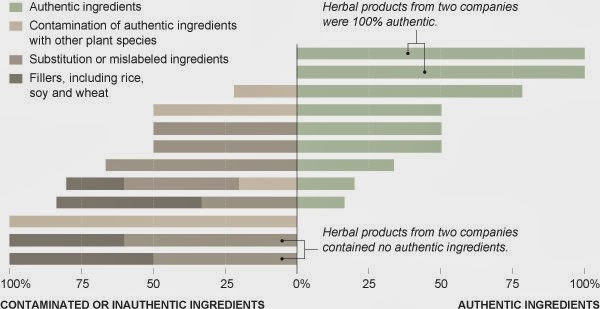 In this analysis of 12 herbal products, only 2 had exactly the right species (green bars). Brown bars indicate the wrong species (with dark brown being inactive filler species). Now this is scary. Not only is this false marketing, but this can also be dangerous for people that have allergies to certain species and their compounds. Also of great concern is if the producer of these products actually knows what is in their pills. What do you think? Are these inadvertent mistakes, or made on purpose, where they diluted the active plant with cheaper similar or inactive plant materials? The producers often buy their plant ingredients from commercial suppliers, and they trust the supplier to know what each plant is. Sometimes, even the supplier companies buy from a third party, the collector or grower of the plant somewhere in the world, and they just assume the plant is correct. Considering how hard it is sometimes to identify a plant, especially in its ground and/or dried state, it might not be that strange that mistakes are happening. But, that is not acceptable. So, if you want to buy an herbal product, how do you know you get the safest and best one? Well, you probably will never be totally sure. Look for companies that provides standardized doses, that are reputable, and do not buy the cheapest stuff on ebay. Ask the company who their suppliers are, and how they ensure the taxonomic accuracy of their products. If they can't answer, well, then you have your answer. "Most of the herbal products tested were of poor quality, including considerable product substitution, contamination and use of fillers. These activities dilute the effectiveness of otherwise useful remedies, lowering the perceived value of all related products because of a lack of consumer confidence in them. We suggest that the herbal industry should embrace DNA barcoding for authenticating herbal products through testing of raw materials used in manufacturing products. " I totally agree. "Dear companies, please prove to your consumers that you put in the plant that you charge for. Please list all ingredients. It would also be helpful if you can standardize the doses of the active compounds in your product. 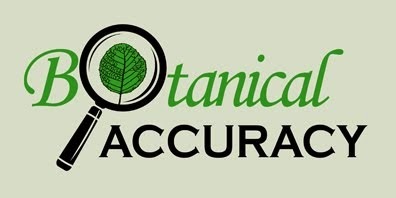 While you are at it, also make sure you include scientific names, and list the provenance (geographic origin) of your plant supplies." After all, isn't that the least we can ask for? They are starting to use DNA bar codes to check the fish species served on restaurant plates, and we demand the same for other sold products like herbals used in alternative medicine. A herbalist that uses local plants is often much more knowledgeable about the plant species than the commercial companies, collects the plants herself/himself, and provides a local, small-scale product that is more likely to have the right species in it than one that you buy from a shelf. That said, it is harder for a herbalist to know exactly how strong the doses is in the final product, since that usually takes some chemical analysis.